Giuseppe Verdi famously declared, “You may have the universe if I may have Italy.” Wow…he must have thought Italy was an amazing place! At Monograms, we agree, and that’s why we’ve made it easy for you to experience Italy in all its glory. 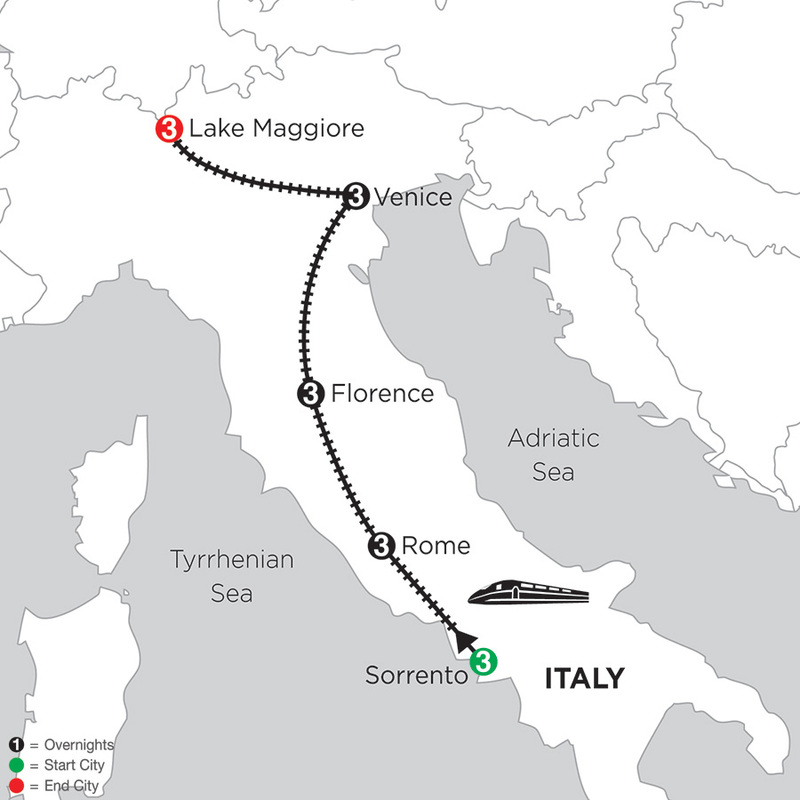 On this 16-day vacation to Sorrento, Rome, Florence, Venice, and Lake Maggiore, we’ve taken care of the travel logistics and hassles, so all you have to do is enjoy. We’ve arranged your hotel reservations, sightseeing, daily breakfast, transportation between the cities, and transfers from/to your hotels to/from the train stations. Plus, in each city, we’ve arranged for you to have the services of a Local Host®, someone who is there for you throughout your stay to answer questions, help you navigate the cities, offer suggestions, and help your vacation run smoothly. Your vacation begins when you arrive in Sorrento. The nearest airport is Naples, but we can pick you up at the airport and bring you to your selected hotel in the resort town of Sorrento. Here, your Local Host will greet you with a warm welcome and a set of materials to help familiarize you with this town. In fact, in each city, your Local Host will welcome you to the city, help you get settled, and give you materials so you can start exploring immediately. Plus, we've also arranged for guided sightseeing with a local expert, someone who will share insider stories and what day-to-day life is like in the cities. In Sorrento, your sightseeing includes a walk in the Old Town and a visit to the cloister of St. Francis Church. 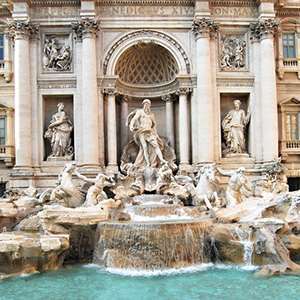 In Rome, we've arranged for visits to the Vatican Museums to see its amazing treasures; the Sistine Chapel, where you’ll view Michelangelo's The Last Judgment and famous ceiling paintings; St. Peter's Square and Basilica, built in 313 AD; the iconic Colosseum; and the Roman Forum, where the oldest structures of the ancient city are located. In Florence, we’ll take you to see Michelangelo's David and we’ll take you on a walking tour to see attractions such as the Ponte Vecchio, the arched, stone merchant bridge that has housed stores since the 13th century. In Venice, guided sightseeing includes visits to St. Mark's Square and Basilica, Doges’ Palace, and the Bridge of Sighs. We've also arranged for you to see a glassblower’s demonstration, so you can learn why glassmaking has been so important in Venetian history. In Lake Maggiore, guided sightseeing includes a boat ride to the Palace and Gardens of Isola Bella, which has been owned by the Borromeo family since the 1500s. In each city, you’ll have a full day to explore on your own (with the support of your Local Host, of course). In Sorrento, you may want to take an excursion to nearby Pompeii to learn what life was like in 79 AD before Mount Vesuvius buried the town. Limoncello is the world-famous liqueur made in Sorrento, and we've included a sampling of it for you. In Rome, you may want to visit one of the catacombs, shop at one of the many designer boutiques, or visit Tivoli. 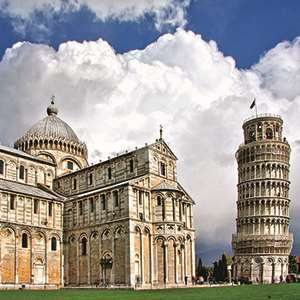 From Florence, consider an excursion to Pisa to see the Leaning Tower. Be sure to taste the Chianti—just ask your Local Host for the best spot to try a glass. In Venice, you may want to just wander around the back alleys, browsing the many shops. 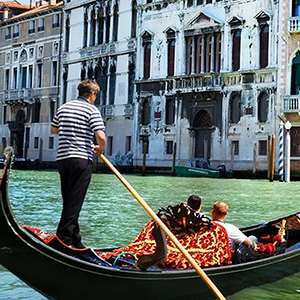 Or perhaps enjoy a serenaded gondola ride so you can experience Venice from its canals. In Lake Maggiore, maybe catch the Mottarone Cable Car for panoramic views over seven lakes and the Alps. Your Local Host in each city will have many suggestions for you. And that’s not all…we’ve included transportation via high-speed train (first-class) between each city. It’s the best way to travel in Italy and will allow you to sit back, relax, and enjoy the scenic countryside. We’ve thrown in transfers to/from the train stations, including from Milan (the nearest train station to Lake Maggiore), and even make sure you get on the correct train! With the sightseeing and guides we've arranged, the transportation and transfers we've included, and the hotels we've booked, all you have to do is enjoy the cities and countryside. Add the comfort of knowing you’ll have someone in each city to help you (not to mention in the train stations), and you've got a vacation of a lifetime! Your Monograms package includes guided sightseeing at Lake Maggiore, plus a beautiful boat ride to the stunning Gardens of Isola Bella. Arrive in Sorrento (the nearest airport is Naples). Benvenuto—welcome! Your Local Host is ready to help you maximize your time in the city of olive and lemon groves. Morning guided sightseeing includes a walk along the OLD TOWN’S characteristic lava-stone streets and time to take pictures of amazing Mount Vesuvius. See the 14th-century Sedil Dominova building; the ancient Bell Tower; and St. Antonino Church, dedicated to Sorrento’s patron saint. Visit the CLOISTER of St. Francis Church to enjoy its unique atmosphere and tranquility. TASTE LIMONCELLO and find out how this world-famous liqueur is made. Your Local Host will have options for your day at leisure, such as the best places to shop for locally made intarsio (inlaid woodwork). Transfer to Naples, then travel by HIGH-SPEED TRAIN (first class) to Rome. 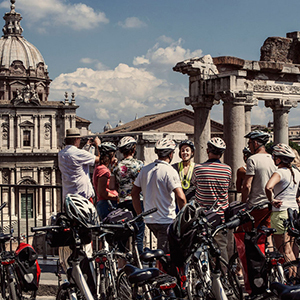 Your morning guided sightseeing, with headset, is rich in religious and ancient history. Visit the VATICAN MUSEUMS to see amazing treasures. In the SISTINE CHAPEL, where the Conclave is held to elect new popes, view Michelangelo’s The Last Judgment and his famous ceiling paintings. Also on the agenda today, enter monumental ST. PETER’S SQUARE and BASILICA, built in 313 AD above St. Peter the Apostle’s tomb and home to Michelangelo’s masterpiece Renaissance sculpture, the Pietà. Cross the Tiber River and continue your immersion in history at the iconic COLOSSEUM, built for 50,000 spectators, and the ROMAN FORUM, where the oldest structures of the ancient city are located. Today, you might want to try some local specialties, like gnocchi alla Romana (semolina dumplings with butter, cheese, and nutmeg) and Frascati wine. Your Local Host will have many recommendations for you. Travel to Florence by HIGH-SPEED TRAIN (first class). Morning guided sightseeing, with headset, includes a visit of the ACADEMY OF FINE ARTS with Michelangelo’s original David. Walk through Piazza del Duomo; sculpture-studded Piazza della Signoria, the center of the city’s political life since the 14th century; and Santa Croce Square. Also admire medieval Ponte Vecchio, the arched, stone merchant bridge spanning the Arno River. Ask your Local Host for suggestions to make the most of your day—you might choose to admire the view from Piazzale Michelangelo or shop for Florentine leather and gold. Travel by HIGH-SPEED TRAIN (first class) to Venice. Morning guided sightseeing, with headset, features ST. MARK’S SQUARE and BASILICA with its exceptional gold mosaics. Visit DOGES’ PALACE and the poignant BRIDGE OF SIGHS. Watch skilled GLASSBLOWERS fashion their delicate objects in the age-old manner, and learn why glass-making was so important in Venetian history. ENTRANCES to Marciana Library, and the Correr and Archaeological Museums are included; ask your Local Host for details. A full day to explore at your own pace. Your Local Host will have many recommendations. Travel by HIGH-SPEED TRAIN (first class) to Milan, then transfer to beautiful Stresa on Lake Maggiore. On your morning guided sightseeing, take a short boat ride to the opulent PALACE and monumental GARDENS of ISOLA BELLA. 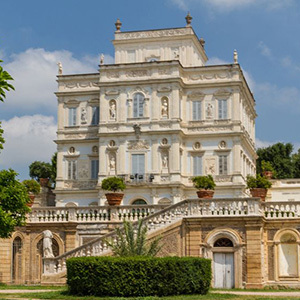 Once a rocky island and home to a community of fishermen, it was purchased by Carlo III Borromeo in 1630 and eventually transformed into the beautiful location it is today. Carlo III named the island after his wife, Isabella, and it is still owned by the Borromeo dynasty to the present day. Today, you may wish to catch the cable car to Mount Mottarone for amazing views of the lakes and Alps. Your Local Host will have many other suggestions for you. The building is historic in that it was built through different stages over the space of 100 years starting in the early 1800s. Although in recent years the property has undergone significant refurbishing, it still maintains its classic look with ample common spaces, high ceilings, mosaic, marble and wooden fixtures. The hotel boasts an olympic swimming pool with large adjacent sun bathing areas, as well as an indoor and an outdoor bar. There are 2 restaurant/breakfast areas, the main one located on the roof top overviewing the bay. Free Wi-Fi access is available in all guestrooms and public areas of the hotel. There is a small fitness center and ample common areas are available for guests to relax and enjoy a cocktail either by the pool area or in the spaces adjacent to the main lobby. Situated on Via del Corso, the main and most prominent boulevard of down town Sorrento, Grand Hotel Flora is at walking distance from Piazza Tasso, the real heart and hub of the town. 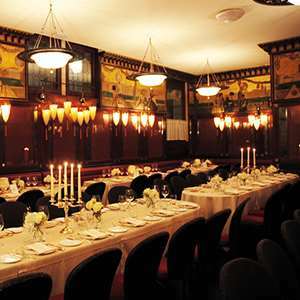 102 rooms all in classic Sorrentine style with wooden bed framings, marble or mosaic-tiled floorings. All rooms have Wi-fi access, centralized AC, minibar, safe deposit boxes and view either to the swimming pool or the town of Sorrento. There is a small fitness center, Olympic swimming pool, 2 bars and restaurants. Ample common areas are available to guest to relax and enjoy a cocktail either by the pool area or in the spaces adjacent the main lobby. This classic Florentine style 60-room hotel boasts a great location with easy access and offers free Wi-Fi access throughout. 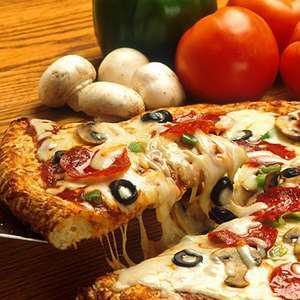 There is a small but comprehensive fitness center, a bar and a traditional Italian restaurant featuring local cuisine and a variety of seasonal dishes. Located in via Cavour, one of the quietest and safest residential corners of down town Florence. Conveniently placed in the proximity of Piazza San Marco, dotted by cafes, restaurants, stores as well as one of the main city bus hubs, this hotel is literally a stone's throw away from the Academy of Fine Arts which hosts Michelangelo's David. From this location, the famous Church of Florence (Duomo) is only 5 minutes away on foot. The 60 rooms come in 2 styles: modern with wooden flooring and contemporary furniture, and the more classic rooms which are characterized by Florentine furniture and patterned upholstery. All Rooms come with air conditioning, safe deposit boxes, flat TV screens and minibar. This charming 50-room hotel offers a real Venetian experience in the heart of the city and is housed in a former monastery dating back to 1879 with Free Wi-Fi access available in all guestrooms and public areas of the hotel. A breakfast buffet is served in the bright, airy breakfast room and can also be enjoyed in the serene courtyard garden during the summer months; the original chapel has been restored as a stately wood-paneled lounge/bar complete with the original oak pulpit. NOTE: This 3-storey property does not have an elevator and may not be suitable for guests who are mobility impaired). Ideally situated; near a public water-taxi (vaporetto) stop and just a short walk from Santa Lucia train station, with easy access to the Grand Canal and St. Mark's square. This grandiose 253 room hotel exudes a stylish elegance with its marbled lobby and Bohemian-style crystal chandeliers. Wi-Fi access is available in all the guestrooms and public areas of the hotel with a fee (payable locally). The impressive outdoor swimming pool has panoramic views of the lake and mountains and there is also an indoor swimming pool and 2 jacuzzis. 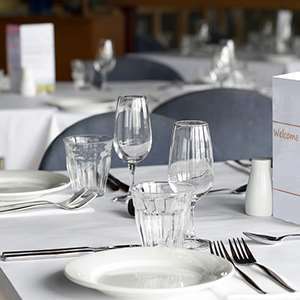 Local & international cuisine can be enjoyed in the hotels refined restaurants and bar. 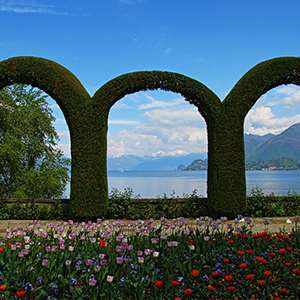 Set in extensive gardens on the shores of Lake Maggiore, just minutes away from the center of Stresa with it's bustling cafés and elegant boutiques, within easy reach of the three enchanting Borromean Islands a short boat ride away. Classically decorated lake-view guestrooms with air conditioning (Mid June to Mid Sept). Located on a luscious hill enveloped by lemon and olive trees and framed on the cusp of the municipalities of Sorrento and Sant'Agnello, this boutique hotel boasts a terrific view of the Sorrentine bay, overlooking the islands of Capri and Ischia and towered at distance only by the volcano Vesuvius. 108 rooms all different from one another, furbished (and signed on the door) by the contemporary artist who designed them. Most rooms overlook the bay and come with centralized AC, minibar, safe deposit box and unique artistic pieces of furniture. A centrally located 68-room contemporary hotel with Free Wi-Fi access available throughout the property. Amenities include a breakfast room, lounge bar and roof-top terrace with an outdoor (seasonal) swimming pool offering fantastic panoramic views of the city. Situated in the historic San Lorenzo area, famous for its Food Market, the Ponte Vecchio Bridge and Florence Cathedral can be found just a short walk away. Modern guestrooms are equipped with walk-in showers or bathtubs and coffee/tea making facilities. Elegant and stylish hotel equipped with all modern comforts located in the heart of Florence. The hotel sits only a short walk from the cathedral and the Santa Maria Novella train station, amidst culture, art and streets full of stores. The property offers 85 spacious and sound-proof guest rooms (carved out from one of Florence's former main Cinema Theathers) contemporary Lounge Bar, Internet zone and complimentary WIFI. In the center of Florence, 300 meters from the main train station and 650 meters from Santa Maria del Fiore Baptistery (Duomo), the hotel is virtually in the heart of the old reinannace city. All the iconic sites, from the Academy of Fine Arts to the fancy shopping corners of Via Tornabuoni are within a few minutes walking distance. Shops, cafes and restaurants are located all around the hotel in every direction. Housed in an 18th Century Palazzo, this 122 room property has a refined elegance with traditional Venetian styling. Wi-Fi access is available throughout the hotel with a fee (payable locally). There is a lobby bar for drinks and delightful restaurant serving typical Veneto dishes and International cuisine in a romantic setting with an outside terrace area overlooking the canal. Enjoying a privileged position in the heart of Venice, just a stone's throw away from St. Mark's Square and the Rialto Bridge, within walking distance of historic cafés, artisans' workshops and boutiques. The hotel has its own landing stage for for private water taxis and a public water taxi (vaporetto) stop is just steps away. The charming guestrooms offer modern comforts with luxurious touches such as bathrobe and slippers. Enjoy a traditional 3-course Neapolitan pizza dinner at a charming restaurant in the center of Sorrento with al fresco seating available-a real treat! Spend a remarkable evening, enjoying fine food from the Campania region as you bask in the delightful atmosphere at one of Sorrento's most beloved historical restaurants. 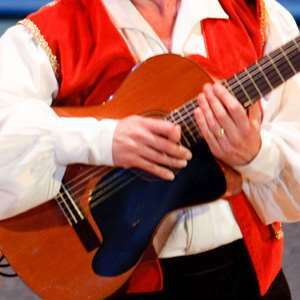 The sights and sounds of Neapolitan culture come to life during this lively performance featuring traditional songs and tarantella folk dancing! 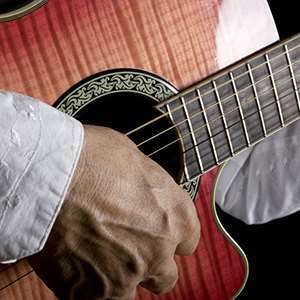 Discover the heart of southern Italy during this captivating live musical experience in Sorrento. The most thrilling drive in Europe awaits! 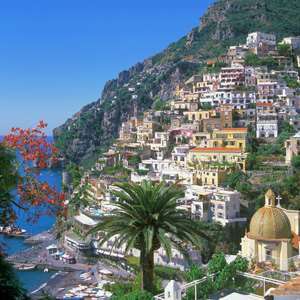 This full-day guided excursion includes the famed Amalfi Drive, stops in Positano and Ravello, and a light lunch for a day you'll never forget! 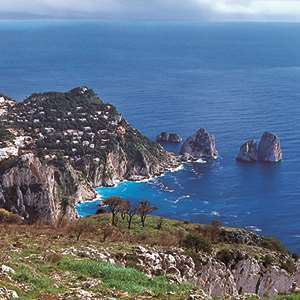 Discover the jewel of the Mediterranean on this wonderful excursion to the legendary isle of Capri! 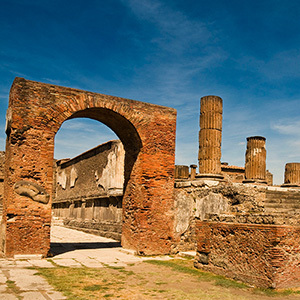 This unique excursion allows you to time travel to a specific day in 79 AD, when this once-bustling area was forever frozen in time by the eruption of towering Mount Vesuvius. Experience the wonders of southern Italy's most beloved city on this incredible introduction to Naples! 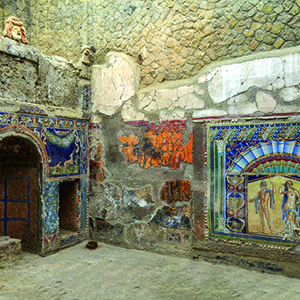 This exceptional half-day guided private excursion introduces you to the UNESCO World Heritage excavations of Herculaneum, the city destroyed by the eruption of Mount Vesuvius in 79 AD. Travel on the Path of the Gods on this exhilarating guided hike high above the Amalfi Coast for spectacular panoramic views. Head out on a working fishing vessel to experience the intensity and exhilaration of a day of fishing before seeing the sights of Capri by land and water, swimming and snorkeling in the crystal-clear waters, and then savoring your catch of the day for lunch! The foods and drinks of Italy are yours for discovering on this exciting foodie adventure along the Amalfi Coast. Sample Italian coffee, lemon jams and limoncello, Amalfi wines, and Fiori di Latte cheese, followed by a farm-fresh Italian lunch overlooking the coast. Bask in the spirit of Tuscany at this incredible dinner featuring the region's most celebrated Italian dishes and tantalizing wines. 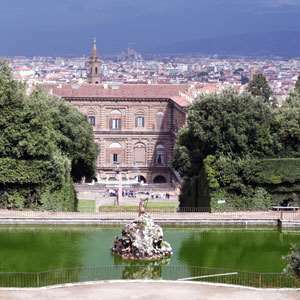 Explore Florence the way you want on this private guided sightseeing tour. Just decide what you want to see and do with your expert guide-the choice is yours! Come face-to-face with the world's greatest masterpieces faster when you skip the long lines and head right into the Uffizi Gallery on this fantastic guided tour. 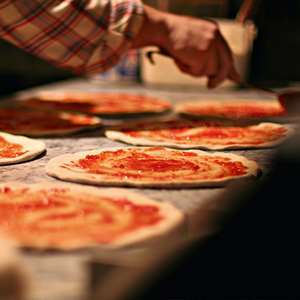 From the art of dough-making to choosing the best toppings, learn all about pizza, craft your own signature pie, and then savor the tasty results! Discover the heart of Florence on this fun foodie tour. Enjoy 9 different tastings that include everything from a traditional aperitif to authentic Steak Florentine! Pedal your way past incredible scenery and mesmerizing sights on this invigorating guided bike tour. 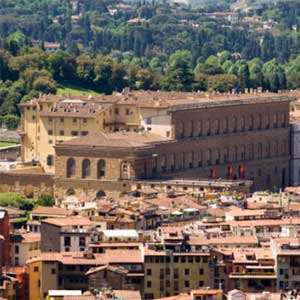 Enjoy skip-the-lines tickets into Florence's famous Medici Chapels Museum, where you can set your own pace on a self-guided tour of the New Sacristy, Chapel of the Princes, and Medici Crypt. Discover the secrets of the Arno and the history of the extraordinary palaces and bridges along the river on this enchanting cruise in a traditional wooden barchetto boat. 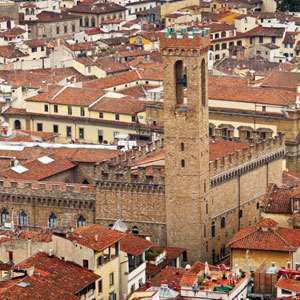 Enjoy skip-the-lines tickets into Florence¿s famous Davanzati Palace Museum, where you can set your own pace on a self-guided tour of this authentic 14th-century Florentine home. An insight into the food and wine tradition of Tuscany, land of gourmets. Not to be missed! Enjoy skip-the-lines tickets into Florence's famous Galileo Museum, where you can set your own pace on a self-guided tour of the impressive collection of scientific instruments dating back to the 13th century. 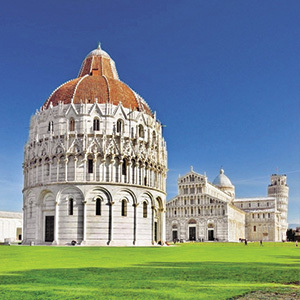 Travel through picturesque Tuscan countryside to the city of Pisa. 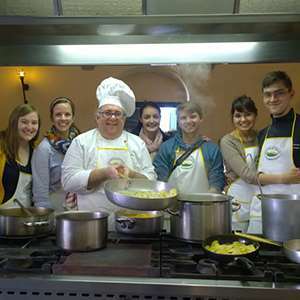 Ignite your passion for cooking on this unique excursion. 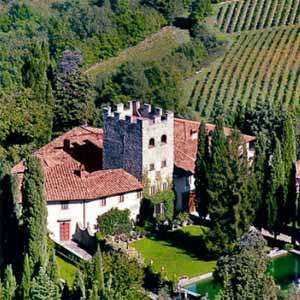 A complete culinary adventure awaits you in a Medieval tower located just outside from Florence. The ultimate Tuscan experience! Soak up the legendary Chianti countryside as you drive to the heart of Tuscany, with gentle hills, olive groves, and vineyards. You have time to explore San Gimignano, the most famous of Italy's medieval towns, and stop at Verrazzano Castle. View art by the world's greatest masters at the medieval Bargello, and judge for yourself whose bronze bas-relief deserved the honor as the Baptistry's "Gates of Paradise". From leaning towers to ancient ramparts, this exciting full-day excursion introduces you to Pisa and medieval walled Lucca, two of Italy's cultural gems. Head behind the scenes at the Mosaic Museum to see skilled artisans at work and to learn just what makes Florentine mosaics unique throughout the world! Saddle up for an incredible horseback ride through the scenic Tuscan countryside that includes a winery tour and traditional meal with wine and olive oil tastings! Thrill your inner race car driver on this private excursion to the dazzling Ferrari Museum. See how these Supercars are made, marvel at the collection, and enjoy a special pasta lunch! Surrounded by exquisite Tuscan scenery, this private guided tour introduces you to Siena, one of Italy's best preserved medieval towns and home to the annual Palio horse race! Enjoy an evening of soul-satisfying classical music at Venice's prestigious Scuola Grande di San Teodoro concert hall. 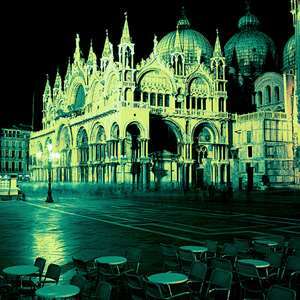 Enjoy an unforgettable romantic evening in Venice! Enjoy a private ride in a traditional gondola, later proceed to one of the oldest and most famous restaurants in Italy. The magic of Venice comes to life as you enjoy an unforgettable evening of gourmet specialties at one of the city's most celebrated restaurants. If a marriage proposal is in your future, do it in one of the most romantic places on Earth-Palazzo Contarini del Bovolo in Venice! This unforgettable private experience even includes a professional photographer to capture the big moment for friends and family back home! 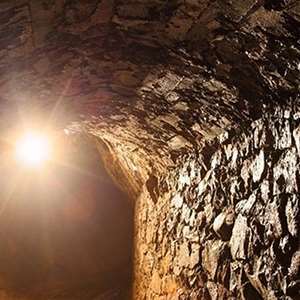 Whether you're a thrill-seeker, brainiac, or just want to test your puzzle skills, you'll love this fun, interactive excursion to an Escape Room! This spine-tingling private guided walk takes you through the hidden corners of Venice-places of tragic history from the ghostly past-to encounter the city's deepest, darkest secrets. Explore Venice the way you want on this private guided sightseeing tour. Just decide what you want to see and do with your expert guide-the choice is yours! 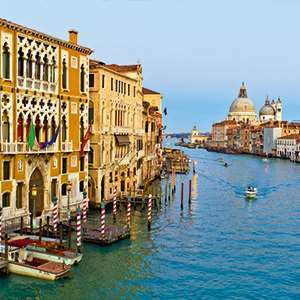 Venice¿s most enchanting sights await on this fantastic small-group discovery featuring a 2-hour private sightseeing cruise down the Grand Canal, visit of San Giorgio Maggiore island¿s breathtaking basilica, and the chance to climb the bell tower for an incredible panoramic view! Play an unforgettable 18 holes of golf at the stunningly beautiful Venetian Golf Club, which once hosted the drives and putts of Venetian aristocracy. Enjoy the quintessential Italian experience: a romantic serenaded gondola ride, followed by a dinner of authentic Italian pizza! Experience the floating city from the water as you cruise along the lagoon to charming Burano Island for a delicious four-course meal and time to explore. 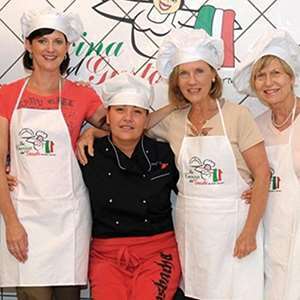 If you are a culinary passionate looking for a special and unique experience, this is the excursion for you. Verona may be best known for ¿Romeo & Juliet¿, but this distinctive UNESCO World Heritage Site is so much more! This full-day guided excursion shows you the sights from Shakespeare¿s famous play, as well as the Duomo, Piazza delle Erbe, the frescoed Mazzanti Houses, ancient Arena, covered markets, and more! Discover Venice through its best local foods on this enjoyable foodie tour with a culinary expert! Hit the ground running and see the magnificent sites of Venice at the same time on this 1-hour private guided running tour. Bask in the romantic atmosphere during this unforgettable 3-course candlelight dinner along the western shores of beautiful Lake Maggiore. Experience the beauty and majesty of the world's most beautiful Alpine lakes on this awe-inspiring full-day guided excursion to Lake Maggiore, Lake Lugano, and Lake Como. Monograms provides traveler's access to a Local Host®, so you will have someone on hand to answer those vacation questions pertaining to Sorrento and Italy. No waiting in line at the concierge desk or trying to ask your waitress at breakfast directions to the shopping district. Simply ask your Local Host® about Sorrento and you'll be on your way in no time. Plus, your Local Host® will share local Sorrento insights and share suggestions for getting off the beaten path, leaving you more time to create lasting vacation memories that are yours alone. My name is Annamaria and I was born here in Sorrento. I really enjoy sharing the culture and secrets of my land with Monograms visitors: from the world-famous island of Capri and the extraordinary excavations of Pompeii to the enchanting atmosphere of the Amalfi coast, not forgetting the wonderful flavors of Mediterranean cuisine. Walk through the Old Town along the fisherman’s path to Marina Grande, once the main harbor of Sorrento. Sophia Loren was filmed in movies at this picturesque harbor. Stop at one of the restaurants to enjoy fresh fish brought in by the local fleet. The 18th century Palazzo Correale di Terranova houses the town’s museum, Correale. This was created by Alfredo and Pompeo Correale, Counts of Terranova, who later donated it to the town. The rooms hold precious examples of crafts and local art from the 17th and 18th centuries. On exhibition are some remarkable pieces from the Greco-Roman age, medieval elements from the Cathedral, furniture, clocks, porcelain, glass and a fine collection of paintings. The Marquetry Museum is also well worth a visit to learn more about this decorative art. The Museum’s principal objective is to promote and ensure continuity of the tradition of Sorrentine marquetry. Take a ride on the Sorrento train tour, with audio commentary, to admire panoramic terraces and the city’s beauty. Enjoy some of the best views of the peninsula, its Mediterranean vegetation, blue sea and small, picturesque towns and villages. Stop at the ones of your choice to admire and explore, and then catch the next bus according to the circuit’s timetable. Audio guides with commentary are provided on board. Villa Comunale is the largest public garden in Sorrento and is laid out with flower beds and shade trees. There are busts of the historian Bartolomeo Capasso and Sorrento-born magistrate and lawyer Francesco SaverioGargiulo. Benches are provided so that you can sit and relax while you enjoy the view of the bay of Naples. In the heart of the city, relax in the peaceful atmosphere of “L’ Agruminato” a citrus garden with dozens of orange and lemon trees typical of the Sorrento peninsula. Surrounded by elegant gardens and camellia trees, Villa Fiorentino is one of the most charming villas in Sorrento. During the summer, the villa is home to art exhibitions, and musical concerts are held on the grounds. Catch the local “Sita” bus to enchanting village of Nerano Cantone, famous for the crystal clear sea. Relax on the beach and treat your tastebuds to the fresh fish caught just offshore by the local fishermen. Stroll out of town to the Queen Giovanna’s Baths and ancient fortress to view the Mediterranean up close. Walk back or catch the local bus. Local craftsmanship includes inlaid woodwork ‘intarsio’, created in anything from small musical boxes right up to large pieces of furniture. Cameos and corals make splendid jewelry pieces. Admire lifelike Capodimonte figurines created in the Naples area. 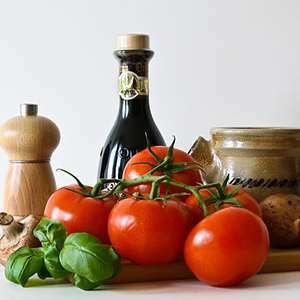 The Sorrento and Naples areas are well known for their cuisine, but perhaps the most famous of all is the Pizza Margherita, invented in Naples. Sorrento is renowned for its fresh fish dishes, shell fish (often served with Scialatielli home made pasta) and other sea food such as the delicious calamari. Spaghetti with clams is certainly one of the favorites. For dessert maybe try the local Pastiera (cake with ricotta cheese, wheat grain and candied fruit). Ask your Local Host about street markets for local color and bargains. Sea, Sun, Music and Culture: Sorrento offers everything to visitors, sea and sun, magnificent mountain views, music and culture, a relaxing atmosphere and everything within a short distance. 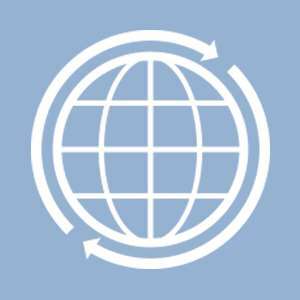 Monograms provides travelers access to a Local Host®, so you will have someone on hand to answer those vacation questions pertaining to Florence. No waiting in line at the concierge desk or trying to ask your waitress at breakfast directions to the shopping district. Simply ask your Local Host® about Florence and you'll be on your way in no time. Plus, your Local Host® will share local Florence insights and share suggestions for getting off the beaten path, leaving you more time to create lasting vacation memories that are yours alone. Born in Holland, with a passion for art history, fashion, and Italy, Florence was a natural draw for Helma. She now has several years of local tourism experience, and is a licensed guide. She is very happy to welcome Monograms guests to the Cradle of the Renaissance. Enjoy a sensational view over the "cradle of the Renaissance" from Florence's most panoramic square located high on a green hillside overlooking the city. A little further up the hill, see the beautiful basilica San Miniato al Monte where the Benedictines built a church in honor of St. Mennas. Better known as the ‘Duomo’ – it not only dominates the skyline but also represents the geographical, cultural and historical center of the city. Visit Brunelleschi's spectacular, 37,000-ton dome and climb Giotto's bell tower “the Campanile” – three-floors with 414 steps. See Brunelleschi's early-Renaissance masterpiece and the mausoleum of the Medici family, built by Michelangelo, in the New Sacristy. Built towards the end of the 13th century by the great architect Arnolfo di Cambio, this Franciscan basilica is a highlight of the specifically Italian architecture of the Gothic style. Wander along the three wide naves enriched by Galileo's and Michelangelo's tombs, and admire works of the Early Florentine School from Giotto and his followers in the transept chapels. Enjoy the harmony of this medieval architectural jewel. Built in 1246 by the Dominicans, its beautiful arcades and its incredible vaults preserve works by many Renaissance artists. While the art scene in Florence is destined to be more classic than contemporary, modern art is alive and well. Many of the contributions come from the restaurants, bars and hotels that show the work of local and international artists. Astor Caffè, Rex Café, and Gallery Hotel Art are among those putting on regular, gallery-worth exhibitions. Florence's bustling Central Market (better known as the Mercato Centrale) is a fascinating place to visit, especially for foodies. Located in a towering cast-iron building dating from 1874, its entrances are often obscured by the stalls of the San Lorenzo market that line the streets outside (the San Lorenzo stalls feature crafts, leather clothing, shoes, souvenirs, etc). 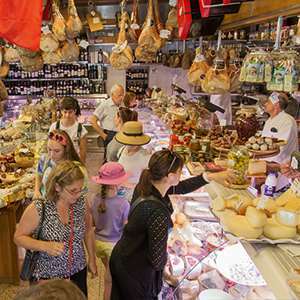 Inside the market are a myriad of vendors dedicated to the primary ingredients of Tuscan cuisine. 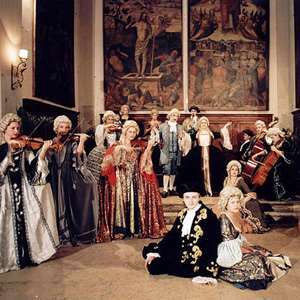 Numerous churches offer concerts and opera performances throughout the year. Try St Mark’s English Church or some grander settings which include the magnificent Chiesa di Orsanmichele and the gorgeous 12th-century Chiesa di Santo Stefano al Ponte Vecchio. Stop at Santa Maria dei Ricci for the daily organ concert. Ask your Local Host for more information. The pharmacy/museum displays the results of more than 800 years of work by Dominican monks. Following centuries-old formulas, the officina sells ancient remedies and tonics alongside hand-molded soaps and perfumed powders. Florentine leatherwork, gold jewelry, Italian craftwork, and art books are great gifts to take home. Florence is also famous for its out-of-town fashion outlets, but if you only have time to do one, visit the ‘Mall’- just a half-hour drive from the city, it is home to many designer names and discounts. Specialties to try include succulent bistecca fiorentina (Florentine steak); pappa al pomodoro (local bread and tomato soup); ribollita, (cabbage and bean soup); and biscottini di Prato con vin Santo (a special cookie and white wine) to finish off your meal. 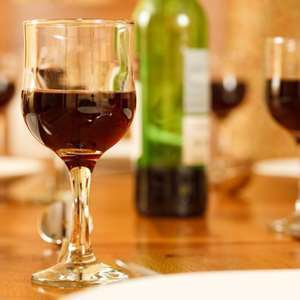 Sip Chianti wine, Brunello di Montepulciano, or the Super Tuscans. Monograms provides travelers access to a Local Host®, so you will have someone on hand to answer those vacation questions pertaining to Venice. No waiting in line at the concierge desk or trying to ask your waitress at breakfast directions to the shopping district. Simply ask your Local Host® about Venice and you'll be on your way in no time. Plus, your Local Host® will share local Venice insights and share suggestions for getting off the beaten path, leaving you more time to create lasting vacation memories that are yours alone. Hi! Monograms Guests, you can call me "Grace" or my Italian name "Graziella." After studying foreign languages in schools abroad, I started my career working on a cruise ship and travelled around the world. I continued as a tour guide around Europe and Morocco until I came back to my hometown of Venice to be a Monograms Local Host. I feel so lucky to work in this magical place, where everything provides our guests with unique emotions - from the canals, monuments, and the lagoon itself, to the colors, perfumes, and music on the Piazza. The splendor of the past and its traditions are all to be shared with my guests who enjoy it very much. Travel to the top for an unrivalled view of Venice and its surroundings. The tower is 323 ft. (98.6m) tall, and stands alone in a corner of St Mark’s Square. A characteristic boatyard (squero) dating back from the 17th century on the rio (small canal), of San Trovaso. It's one of the last traditional squeri still constructing gondolas. 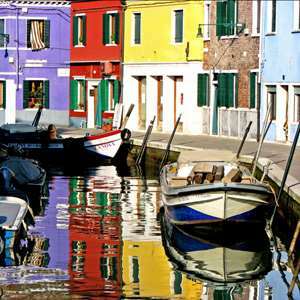 Burano Island, Lido Island, Saint Elena Island: Burano Island, in the Venetian lagoon, is made of picturesque canals lined with brightly colored houses. The island is famous for its artisan lace makers and there's a Lace Museum, as well as shops selling lace. The Lido Island offers small canals, a variety of dining and impressive views of the city from across the Lagoon. Lido is the beach of Venice and is famous for its Movie Festival. Sant'Elena Island lies at the eastern tip of the main island group and was centered on the Church of Sant'Elena and its monastery. Palazzo Mocenigo houses a history of Venetian fashion and perfume. 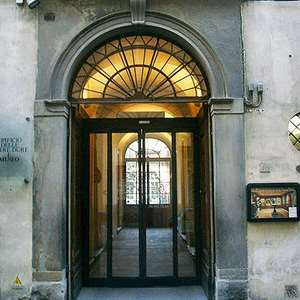 Accademia Gallery contains works by Tintoretto, Bellini and Carpaccio. The Palazzo Venier dei Leoni on the Grand Canal, houses one of the most important collections of American and European Modern Art. Ca'Rezzonico is home to a collection of 18th century Venetian furnishings and paintings. Jewish Museum: visit the Jewish Ghetto dating back to the early 16th century, its Museum exhibits traditions of goldsmith's and textile arts. The Arsenal and Naval History Museum founded in 1104, houses a fascinating collection of model ships, including the amazingly lavish ceremonial Doges' barge, the Bucintoro. Venice has a wealth of churches showcasing fine religious art and historic testimony. Here is a selection of the most famous which are well worth a visit. Basilica of San Giovanni e Paolo: after the 15th century funeral services of all Venetian Doges were held here, and 25 Doges are buried in the basilica. Church of San Rocco: holds paintings by Venetian artist Tintoretto (1519-1594), and was one of The Plague sanctuaries. Santa Maria Formosa: built in 1492 on the site of a church dating from the 7th century where the Virgin Mary was believed to have appeared. Santa Maria dei Miracoli: known as the marble church, was built in 1481 and is one of the finest examples of early Venetian Renaissance architecture. Basilica of San Pietro di Castello was the city's cathedral, serving as its spiritual and religious administration center. San Giorgio Maggiore: located on St. George Island, houses paintings by famous artists, including Tintoretto. Visit one of Italy's most famous theaters, the reconstructed La Fenice is famed for its acoustics. The world was stunned when it was destroyed by fire; millions of dollars were raised and stars such as Luciano Pavarotti and Woody Allen offered their support for the reconstruction. Murano, the center of the Venetian glass blowing industry for more than 1,000 years, is also known for its Glass Museum and the Byzantine church, Santi Maria e Donato with its beautiful mosaic floor. Venetian shopping specialties include Murano glass crafts and glass pearls, lace, carnival masks, and unique Christmas gift calendars. Fortuny’s showroom on Giudecca collects and displays the company’s mementos, textiles and other works, plus carries a range of products, including pillows, accessories, and fabric. Fabrics made by the prestigious firm, Bevilacqua, have been used to decorate the Vatican, the Royal Palace of Stockholm, and the White House. Master artisans still weave the fabrics in Venice on 18th-century wooden looms, and the front-room display is just a sample of their artistry. Atelier Nicolao is in the very heart of the city, and here deft and expert fingers create unique and wonderful costumes that are appreciated all over the world. The Nicolao Atelier has become a point of reference for theatre, opera, films and historical parades and processions. Sample “cicchetti” which are various small snacks or side dishes, typically served in traditional "bàcari" (cicchetti bars or osterie). Some classic Venetian dishes are Sarde in Saor, (sweet & sour sardines), Bigoli in Salsa (pasta in a salted sardine & onion sauce, one of the oldest recipes of Venice), famous Risi e bisi (rice & peas), Baccalà Mantecato (a creamy soft mousse-like cod), Pasta e Fagioli (pasta & beans), Fegato alla Veneziana (liver cooked with onions) and to satisfy your sweet tooth, the traditional Carnival Frittelle (little sweet fried dumplings) and Tiramisù. Harry's Bar was one of Hemingway's favorite haunts, see where the novelist created his signature cocktail … made of 15 parts gin to 1 part vermouth! Or try its world famous "Bellini". Stop for a drink at Caffè Florian, situated in the shadows of San Marco and listen to its orchestra. If you have already visited Venice, take advantage of its excellent location to visit nearby mainland areas such as Verona, Padua and the Dolomite mountains. Freespace is the theme of the Biennale Architettura 2018. See examples, proposals, elements - built or unbuilt - of work that exemplifies essential qualities of architecture which include the modulation, richness and materiality of surface; the orchestration and sequencing of movement, revealing the embodied power and beauty of architecture. Architecture Exhibition that will take place from May 26th to November 25th 2018. Monograms provides travelers access to a Local Host®, so you will have someone on hand to answer those vacation questions pertaining to Lake Maggiore, Italy. No waiting in line at the concierge desk or trying to ask your waitress at breakfast directions to the shopping district. Simply ask your Local Host® about Lake Maggiore and you'll be on your way in no time. Plus, your Local Host® will share local Lake Maggiore insights and share suggestions for getting off the beaten path, leaving you more time to create lasting vacation memories that are yours alone. My name is Kate; I am originally from Scotland and have lived in the Lake Maggiore area now for over 20 years. After working in Milan, I am now happy to be working close to home as a Monograms Local Host. 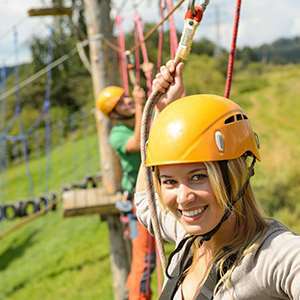 I know you will enjoy this beautiful resort area of lakes and mountains, with its relaxed atmosphere, splendid scenery, and plenty to see and do. Enjoy a 20 minute panoramic ride to the top of Mount Mottarone. From the summit take in 360° views over 7 lakes and the Alps. At the mid-way stop you can visit the Alpine Garden, with over 500 essences, unique for the typology of its plants, solely of alpine origin. Departure is from Lido di Carciano (walking distance from hotel Bristol). This museum houses a wonderful collection of parasols and umbrellas, along with the history of the families who made them. Near Stresa, just up to the hill, towards Mount Mottarone. This picturesque town is located on small Mergozzo Lake. Its stone houses are in part arranged in the form of an amphitheatre along the bank of the river and in part cling to the Montorfano mountainside. While visiting, try the local specialty, a cookie called Fugascina di Mergozzo. The area is also famous for the quarry of Candoglia which has been exporting its precious pink marble for over 6 centuries and used in the building of the Duomo di Milano. 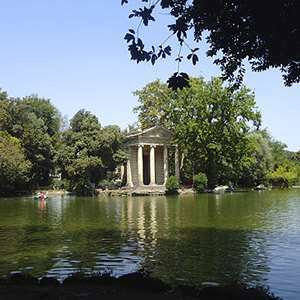 The gardens of Villa Taranto are known for their great beauty and the huge number of plant species they contain. A labor of love on the part of the Scottish Captain McEacharn in 1931, the marvelously landscaped garden continues to enchant visitors to this day (from March to October). Laveno Monbello is a typical lakeside town on the western shores of Lake Maggiore. The lakefront is lined with porticoed buildings and there are elegant 17th and 18th century villas throughout the town. There is a cable car from Laveno to Mount Sasso del Ferro known as the "bucket lift". This is due to the fact that the two-man cabins are open top and resemble giant buckets. The peaceful journey up the mountain takes 16 minutes and takes you to 3,484ft which is just below the summit. Admire stunning views across Lake Maggiore, the Alps, the Po Valley and Lombardy's other lakes. This Roman Catholic monastery, perched on a rocky ridge on the eastern shore of Lake Maggiore, can be reached on foot by descending down a long winding stairway, by taking an elevator, or by a number of ferry services or boats that dock at the pier. The construction of the monastery dates from the 14th century, although the more recent frescos are from the 19th century. In 1914 it was declared a national monument. The Rocca Borromeo di Angera, also called Borromeo Castle, is an 8th century Lombard fortress that stands on a lakeside hilltop in the town of Angera on the southern shores of Lake Maggiore. It contains a Doll Museum, founded in 1988 at the request of Princess Bona Borromeo Arese, and displays over a thousand dolls made between the 18th century and the present day. The picturesque fishing village is a 10-minute boat ride from Stresa. Its narrow cobblestone streets, pretty harbour, and charming houses make it an enchanting place to visit.